The number of travelers hitting the road over Memorial Day weekend will rise by 1.2 percent this year compared to 2011, according to the American Automobile Association’s (AAA’s) annual Memorial Day Travel forecast; this is despite recent rises in gas prices. Hunter gave us more good news: Although average gas prices increased steadily throughout the spring, they appear to be coming down after peaking in April. Currently, the national average cost of a gallon of regular gas is roughly $0.25 lower than it was at the same time last year. Still, gas prices can take a big bite out of your budget, especially if you’re heading far from home. According to GasBuddy.com, the cost of a round-trip drive from Chicago to Mackinaw City, Michigan (where travelers can take the ferry to Mackinac Island, one of our favorite car-free destinations), comes to $276 in a Ford Explorer. Switch to the hybrid Ford Fusion, however, and the cost drops to about $198. Whether you drive a fuel-efficient vehicle or not, there are steps you can take to reduce the cost of your road trip this summer. The following are five easy tips for saving money at the pump. According to the Federal Trade Commission (FTC), properly inflated tires can increase gas mileage by up to 3 percent. And it’s statistically likely your car’s tires aren’t in top shape. AAA reports that only 17 percent of vehicles have properly inflated tires on all four wheels. The GasBuddy app can help you locate nearby gas stations with competitive pricing; it’s free and available for Android, iPhone, and Blackberry. Other no-cost apps that provide real-time information on prices at gas stations include SmartFuel, Exxon Mobil Fuel Finder, and AAA TripTik Mobile. 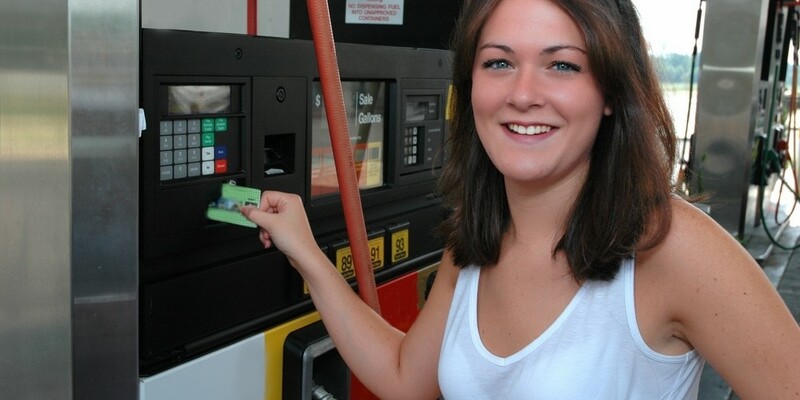 Some credit cards provide extra points or rewards with gas purchases. With the AAA Member Rewards Visa card, you can double points when you fill up your tank. Also, the Discover Open Road card offers double cash-back bonuses at gas stations and up to $100 in Shell gift cards. In addition, many hotels offer packages featuring gas-card perks, especially during summer. Receive a free $25 gas card when you book the Road Trip Pick-Me-Up package at the Sheraton National Hotel in Arlington, Virginia. Travelers who book two separate stays at Choice Hotels International (which includes Comfort Inn, Cambria Suites, EconoLodge, and other properties) this summer can earn a $50 gift card to use for gas, dining, or shopping. And the Greater Fort Lauderdale Convention and Visitors Bureau is giving away $25 American Express gift cards to travelers who book stays of two nights or longer at select hotels; use the card to pay at the pump. Obey speed limits and not only will you avoid costly fines, but you’ll improve your car’s fuel economy. According to the U.S. Department of Energy, driving just five mph over a 60 mph speed limit is the equivalent of paying an extra $0.24 per gallon. When traveling by air, luggage—whether checked, overweight, or oversized—is likely to incur a range of baggage fees. But an overloaded car will cost you as well, as heavier vehicles require more fuel to move. An extra 100 pounds of junk in your car reduces fuel economy by as much as 2 percent, says the FTC. Before you back out of that driveway, remove anything in your car that you won’t need on your current trip. How do you save money on gas when traveling? Share your tips in the comments!